Are you excited to oust the business brand with ultimate exposure at the audiences using Local SEO Strategy? Have you ever tasted the results of an unbreakable stream of success by reaching the more than expected audiences? The only way to rapid fire the campaign in short span of time is Local SEO marketing. The products or services of a particular business can be promoted using the Local SEO which can bring the customers depending on the location-based search on Search Engine. Most of the branded companies, e-commerce stores and also startups will prefer to acquire the brand promotion through Local SEO.Local SEO strategies are used to grow the business online and to attract customers. Let us now see how local search engine optimisation helps to improve visibility and what exactly local SEO is.Local SEO is promoting the products and services to local customers. The strategies for local SEO include getting higher rank in search engine results, online reviews, business directories etc. Many people search for local businesses online, and efforts should be made to get the local business listing found by the potential customers. More and more people are using the internet to find the local businesses. More than sixty percent of people are using search engines to find the local business. 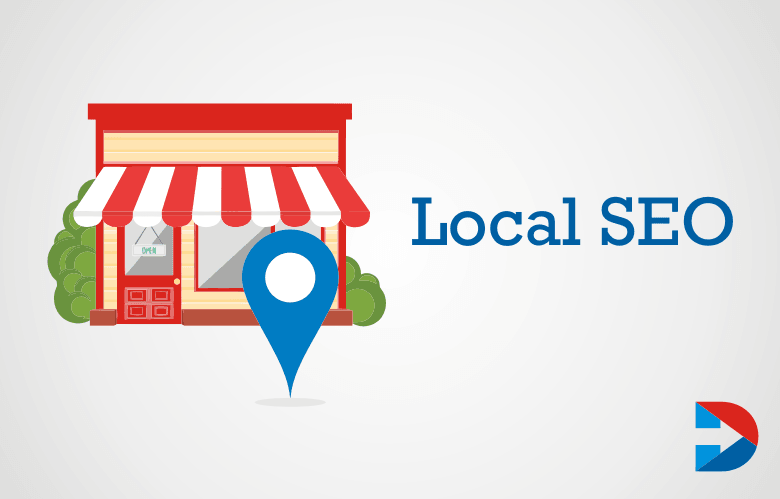 Local search tactics can be used to position n the business better and to promote the business to local customers. Use local online directories that display the business name, address, phone number etc. get listed on these online local directories and get the benefits of higher conversion rates. While on the go, many people use their mobile devices to find the local businesses. Local SEO covers mobile internet and personal computer access so that businesses will not miss out potential customers. Local SEO is cost-effective and efficient in reaching the potential customers only when they want. Thus this is a great return on investment. 90% of Smartphone Users perform Local search that leads to Local SEO. Not many businesses have listed their business on Google My Business. It is a great time to start before competitors and be ahead of others. There are many online business directories and claiming your listing on them is free. Local SEO is going to be a great promotion opportunity for local businesses for free. Studies revealed that the number of people reading newspapers is declining, and thus traditional advertising media is not as effective as it was. More and more people are now using the internet to get any information about local businesses. Prospective consumers read the online reviews of the business to make decisions. Local businesses thus must try to get positive reviews to attract new customers. Not having online presence means missing new customers. People depend on the internet to find about products and reviews. Implement local SEO strategies to show up on the internet and attract new customers. Even for local SEO, it is important to optimise on-site and off-site SEO strategies for those who are searching for your local business. Since there is a lot of competition among local businesses, it is required to be ranking higher in the search results. The title and description tags are displayed by the search engine in the search results. Ensure that the titles and descriptions are not getting cut off in the search engine results. The title and description space is very precious and should be used wisely to include unique and compelling text to boost the click-through rate. To reach the local customers, including the name of the city in which you run the business. Registering with the Google My business page can help to get great exposure. Visit the business site of Google and claim a page for your business. Google will send a verification PIN to the physical location of the business. Enter the pin and get the business verified. Enter the information such as business hours, categories, types of payments etc. Also, upload the photos and log. Apart from Google Bing Places for Business is a local business page from Bing. If you want to provide more information about the business to the search engines, then add schema markup to your website code. Local SEO might help in getting higher ranking in search results and also stand out from other local businesses. There is also structured data testing tool from Google to check the implementation of the markup. 97% of Consumers look on the search engine for Local Websites for goods and Services. Focus to get reviews on Facebook and Google My Business page. Many prospects have the habit of searching on Google for reviews of products or services they are interested in. Having good online reviews helps to draw customers. Use online tools to get alerts whenever the brand name mentioned. Whether positive or negative, respond to all the reviews. To rank your website higher, ensure the following things. Create landing pages for each of the cities in which you serve. Optimize the titles, Meta description headers etc. Include the name of the city in which you serve in the tile. Display the name of the business, address and phone number on the website. Also, write the business hours. Embed a Google map to help the users find the location very easily. Mention the ways in which people can contact you apart from making phone calls. Have a clear call to action and ask the people to either call you or request a quote and so on. 4 out of 5 people search on the search engine to find nearby Services. Have testimonials and reviews displayed to boost conversions? Local SEO is trends are here to stay and are expected to grow more and stronger and significant. Local businesses, whether small or big should take advantage of these services to promote the business. Local SEO is not for only big businesses, it can be useful for plumbers, florists, accountants or florists. The local SEO marketing is the one way that acts as the bridge between the marketers and customers through the brand of a product or service. If you are start-up struck in the middle of promoting, then it’s the time to find a better way like Local SEO.